Are you planning on coming to Paris for an extended period of time? Finding student accommodations in Paris can be tricky, especially when there is a language barrier involved. Luckily there are many services out there on the web who aim to make the process much less stressful for you. Continue reading for companies we feel are the best for helping arrange accommodations in Paris! Paristay.com is a real estate company whose goal is to help english speakers find student accommodations in Paris. They have a large choice of housing options for short and long term stays. Their site includes a plethora of pictures describing the apartments they offer, maps, metro destinations near by, appliances and amenities offered, a price simulator and previous guest reviews in order for you to feel the most comfortable in making a decision, because housing is important! Whether you are looking for private or shared housing, Paristay.com is a great site to get you situated in your new home! 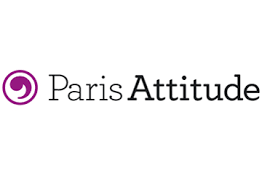 Paris Attitude is a real estate agency in located in central Paris. They specialize in short and long term furnished rentals. 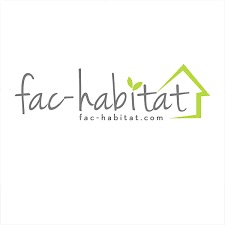 Like Paristay, they offer a wide range of apartments that come furnished and fully equipped. Some examples include: studios, apartments with 2 bedrooms, luxurious lofts, and even townhouses. The nice thing about Paris Attitude is that they have you fill out a request form (for free) where you can describe what your looking for, your budget and the reason for your stay. Shortly after submitting your request an agent will get back to you with a more refined list of potential apartments! Comforts of Home is another great resource for finding spacious, quality apartments in Paris. They offer real, authentic apartments in residential neighborhoods that fit within your location needs! Each apartment offered has a charm of its own – none are the same! Comforts of home does not provide private accommodation, so if you go this route you should expect roommates, however they ensure you won’t constantly be surrounded by others. Additionally, comforts of home promises you the peace-of-mind in knowing where you’re going to live in advance, native English-speaking customer service, 24/7 emergency assistance, and even an in-house maintenance team that makes sure everything works while you’re in Paris! I highly recommend checking out this site, especially if you are on a tight budget! The last site I am going to recommend checking out for student accommodations is Paris Housing. They have developed a “range of Paris real estate services including a dedicated student department.” Paris housing helps in each step of the way. They visit the apartments, sort out the utility bills and more! Whether you are a student, a corporation, or just looking to rent in Paris, this website is an excellent resource. Some sites require you to rent for a minimum time frame, but with Paris housing, the time period for rental is up to you and what your schedule demands!